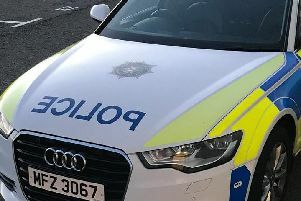 Detectives are appealing for witnesses after the report of suspicious activity in the Newtownabbey last night (Tuesday). Inspector Gilbert said: “Around 6.30pm last night, four men with their faces covered were seen in the Forthill Drive area. “Three were described as being in their 20s, around 5’10” in height and wearing dark-coloured clothing, including scarves and hats. “A fourth man was said to be slightly taller than the others and aged in his mid 20s. He spoke with a local accent and was wearing light-coloured trainers, dark trousers and a dark jacket with a gold-coloured crest on the left hand side. All four were wearing gloves. Alternatively, information can be provided to the independent charity Crimestoppers on 0800 555 111.